Transcription for all your needs! 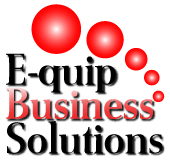 E-quip Business Solutions is an online typing and secretarial service providing transcription and administrative support to individuals and businesses of all sizes. We are digital and analogue tape transcription specialists with expertise in medical, legal, business and academic transcription. We type for students at Undergraduate, Masters and PhD level including mature students and/or those who study part-time. In addition, we transcribe for academic staff. Other speciality areas include financial transcription, insurance transcription and property transcription. Our team of virtual assistants work on transcription projects for clients in Ireland and the U.K. In addition we provide a transcription service and have acted as virtual assistants to overseas clients. Working remotely we can work with clients in any location! E-quip Business Solutions is a team of virtual assistants and highly skilled transcription professionals. We offer our clients a wide range of secretarial, transcription and virtual assistant support services. As digital transcription experts we offer a reliable, efficient and confidential service at all times. We are experienced medical and legal secretaries who transcribe all medical and legal documents including medico-legal reports, legal submissions, Affidavits and sworn statements. Our academic transcription experience includes research interviews (one-to-one interviews and those with multiple speakers), theses, course work, lectures and dissertations. We have expertise in transcription of focus groups, breakout groups and business meetings. Clients who work with E-quip Business Solutions have access to a maximum security file upload facility through FTP (File Transfer Protocol) comprising 128-bit SSL data transfer, with 64-bit DES encryption. This security measure ensures that files cannot be intercepted by a third party so all data being sent remains confidential. In addition, all digital file transfers are constantly tracked and monitored. We are committed to providing all our clients with a fair and competitive pricing structure for all digital transcription and dictation projects. Ask about our student discount incentives on medical, legal, business and academic transcription. Take the pressure off yourself and outsource your voice files to us today! DO YOU WANT TO WORK AS A TRANSCRIPTIONIST?